Aatif gave up a successful full time job in the city in private equity to work (unpaid) in education. A graduate of St James Boys School, and now one of its governors, he is currently chairman of the fastest-growing education business in the UK. Growing up with dyslexia had its challenges – read on. Aatif is a good friend of the School. Expelled. . . I was asked to leave my state school. I wasn’t officially expelled but it was as close as it gets. The frustrations of dyslexia and Attention Deficit Hyperactive Disorder (ADHD) had led to me being labelled ‘a naughty boy’ so now my father, a single parent who had given up his career to raise me, decided to put every penny he had into my education. St James was the first school he looked at and he instantly fell in love with the Headmaster. Since the teacher assessing me was more interested in how fast I could run than my maths, I was in. Five wonderful years later, during which I had a lot of catching up to do, I was studying for a Maths degree and heading towards achieving my father’s dream of me being a fully qualified Chartered Accountant. It was just as well that he didn’t mind what I did after that because I haven’t spent a day practising. Don’t just talk about it . . . While still at university I supported (and continue to support) a charity aiding a number of villages in Kenya, where my father is from. I taught maths there for three months but the real need was for water during the annual periods of heavy drought. I rallied some fellow students, raising £35,000 to build a storage tank high up so that water could be pumped down to the maize crops, giving them a livelihood. In my 20s, whilst on a course with the Lucca Leadership Trust, I met some incredible young people who were aspiring to be a positive influence in their communities. I felt I should do something too instead of just talking about it, so I became involved in setting up a charity providing medical services in Lahore, Pakistan. The clinic offers free eye surgery for cataracts and cornea transplants. People there think they are blind when for just £6 they can have their sight back. It also provides general medical and gynaecological care in a place where there is a disproportionate number of neo-natal deaths. I went into banking, investing in small businesses, and collected a commission as an officer in the Territorial Army along the way. Tragically, my eldest son passed away – you get to value deeply a child’s life – and of my two remaining wonderful children, my daughter was attending St James. So in 2013, inspired by St James, I decided to put all my skills and experience together to found my own company. I had also been involved as one of the St James governors, finding it hugely satisfying to watch it move through a period of great change to achieve success and financial independence, developing into a professional group of men and women with a wide skills remit. Being aware of the profound influence St James had on my life and feeling the uplifting atmosphere every time I walked into the place made me feel I wanted to do more. Now in my 30s that same impulse gave rise to Cavendish Education. Having been diagnosed with severe dyslexia myself, this was to be a school providing the highest standard of education for those children who otherwise may not get the learning support they need. Cavendish now comprises six schools which work to create a love of learning in children who in some cases experience profoundly different ways of behaviour. Like St James, our philosophical view is that everyone is fundamentally brilliant. Despite the learning challenges, it’s our job to ignite the spark of genius within each child by offering an extremely broad curriculum. 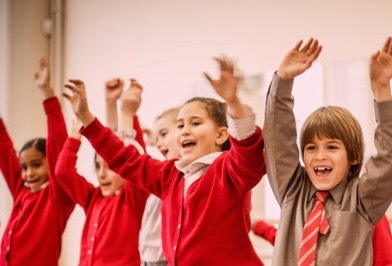 With small classes, typically 6-8 children, allowing lots of space, and two teachers to every class plus the widest cohort of specialists, we can guarantee success. Soft play areas, sensory rooms, and fibre optic lights all add to the care. We have a full sports programme and play other schools in football and rugby. One of our schools has even taken up shooting as a sport. Parents were literally up in arms (!) about introducing guns to children with ADHD but the discipline of shooting for a child who is dyspraxic is incredibly helpful. So we host the Independent Schools Association shooting championships and this year we are the national champions! The perception of our children as ‘different’ is something that society has built up. We’re all different. The concept of unity runs through Cavendish and these children are just as wonderful and blessed as any others. From this principle, the concept of Dukes emerged. It’s an educational consultancy which supports children in getting to the top universities in the UK and also Ivy League. Out of 30,000 people applying to Oxford and Cambridge, we touch about 6,000 of them, working with 400 schools, organising international summer schools and owning three sixth form colleges. Then followed Minerva, a group of six schools which are more what you might call ‘mainstream’, and all embracing the same principle – that within everyone there is genius. Putting it all together, we currently work with 4,000 children and 1,000 staff. I call it a hobby, because I love what I do, but it’s now a full time job. For me it’s about developing young people. It’s what makes my heart sing. Much of what we offer in education today is highly contemporary whereas St James has built its strong foundation on classical education. Our company is trying gradually to integrate the two. I’ve had a huge amount of help from past and current head teachers of St James and followed their advice to go ahead and start. We are unashamedly a friendly dictatorship. Of course I consult my team but everyone knows who the boss is and I lead from the front. So we do slightly eccentric things like ‘the pause’, which I call a ‘Stop’ and other things that you would be familiar with. The best teaching comes from loving the subject so the teachers are expected to study their subjects. For decades St James’ teachers spent a week or so during the vacation studying together, so that’s what we do too. We are building an education which will last for generations. Our vision goes beyond our budgets and our three-year plans, to the uplift of civilisation and the spirit. This year, our head teachers and deputies, plus our senior people in accounts and marketing were taken to the WW2 battlefields of Normandy and the war graves. Something to remember when you’re having a hard day at work! The whole experience had a profound effect on their approach to their work. Next year, it’s Granada and the Alhambra – with an irrigation system ahead of its time, its calligraphy, its architecture. These trips are compulsory; it’s an investment in our future – and entirely paid for by the company. I go with the team on these trips so that I can get to know them. For many of them it’s the first time they have been asked to reflect on deep questions. They are asked to work on personal mastery, and look after themselves so that they can look after others. We introduced the notion of serving others before you serve yourself. I learnt this at St James but to many, it’s strange. On our first trip I cooked for everyone – three meals a day with two or more courses – for over 25 people. On the first day I was on my own, cooking, cleaning up etc. but by the last day, everyone was joining in and enjoying themselves, getting to know each other. Now serving each other has become natural. Leadership and service go together. As a Muslim, I have always prayed, but meditation has become really important to me since starting this business. I soon recognised that as a leader, my inner state affects everyone both at work and at home, so now it’s a regular practice. Secondly: reading. Throughout my schooling I winged my way through exams by watching videos and using revision guides. But at the age of 34, I needed to start writing. Now I read something inspirational or spiritual every day; and I generally read a book each week. Thirdly, I make sure I give time to my children every day. I don’t want to be one of those rich guys who just hands them money. These three aspects, meditation, study and my family are now built into my routine. I was the sole survivor of a triple-fatality car accident three years ago and that started me asking, ‘Why am I here?’ It challenged me to make sure that every day is lived in line with my purpose. This requires practice in emotional personal mastery which is what I ask from my staff too. It has had a profound effect on everything I am and all that I do day-to-day. If I hadn’t got involved in St James my business wouldn’t exist. You couldn’t pay me to do something else – I’ve arrived and it’s wonderful.